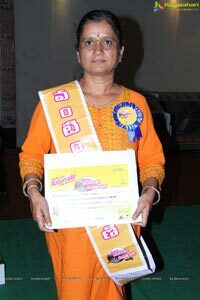 Naturralle Refined Sunflower Oil organized “Naturralle Vantinti Maharani” contest to identify the best culinary talent in Hyderabad from the areas near Nagole at Nimantran Palace A/C Function Hall, Nagole ‘X’ Roads, Hyderabad. 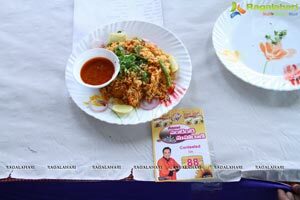 The “Naturralle Vantinti Maharani” contest was preceded by a cookery workshop by the renowned Chef Sanjay Thumma, who interacted with the participants, gave useful cooking tips and demonstrated few of his most popular recipes. The event received fantastic response from the ladies who were seen having a great time interacting with Chef Sanjay Thumma. 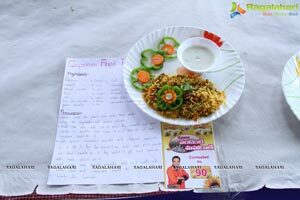 The contestants used creativity and prepared healthy and delicious dishes. 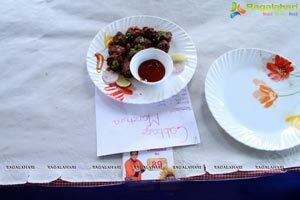 The participants displayed their exemplary culinary skills, talent and imagination. 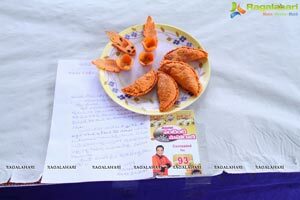 Chef Sanjay Thumma with a team of judges evaluated the dishes and crowned the winner and declared “Naturralle Vantinti Maharani”. Chef Sanjay Thumma gave away the prize to the First Naturralle Vantinti Maharani for Hyderabad and applauded SARL for their unique initiative to bring out the culinary talent of Nagole, Hyderabad. 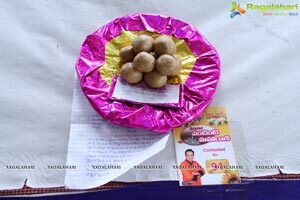 SARL also announced the winners of Naturralle Gold Fest and distributed the gold coins to the winners from the surrounding areas of Nagole, Hyderabad. Speaking on the occasion Mr. K S Rao, General Manager Sales & Marketing, Naturralle Refined Sunflower Oil said, “We have received an overwhelming response to the ‘Naturralle Vantinti Maharani’ contest. It was a pleasure watching the participants interacts with Chef Sanjay Thumma during the cookery workshop. We are pleased to organize the ‘Naturralle Vantinti Maharani’ contest in Nagole, Hyderabad today. 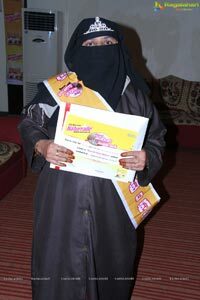 I congratulate the winners and their families for a wonderful display of creativity and talent. 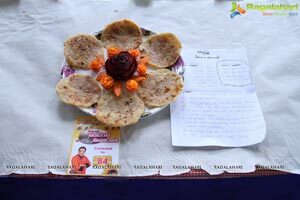 Speaking on the occasion Chef Sanjay Thumma, Brand ambassador for Naturralle refined sunflower oil said, “It was a wonderful experience to attend the Vantinti Maharani contest. I am extremely happy at the response of the people of Nagole, Hyderabad and we are humbled with the affection. 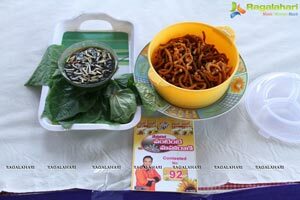 I am amazed at the culinary expertise demonstrated by the participants at Hyderabad. I congratulate all the participants and the winners of Naturralle Vantinti Maharani Contest & the Naturralle Gold Fest”.